Twenty volunteers in Corrèze, backed by La Poste, which is also lending them Ardoiz tablets, are learning basic, practical uses of the internet and the main functions of a tablet. How can older people bridge the digital divide? 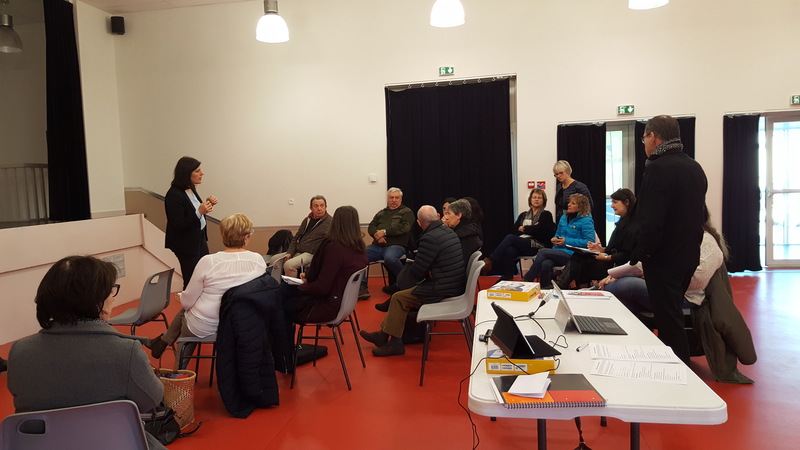 La Poste bid for a tender from the Conférence des Financeurs de la Corrèze and was chosen for a trial, giving training and help using the Ardoiz tablet, designed for older people. Twenty volunteers were picked at two public meetings in Marcillac-la-Croisille and Neuvic at the end of February for this free digital discovery programme. Their postman will set up the tablet, and they keep it until the trial ends. Five 2-hour group training workshops are scheduled in each town between 26 April and 14 June. They will be spaced a fortnight apart so that the participants can put what they have learnt into practice and gradually become independent.